Time for another entry in Puzzlements, Forgotten New York’s examination of noncontextual street names, especially named streets smack in the middle of areas featuring numbered or lettered streets, or even lettered or numbered streets smack in the middle of a group of named streets, such as Port Richmond’s Avenue B (seen on this page) or B Street in Pelham Bay, Bronx. 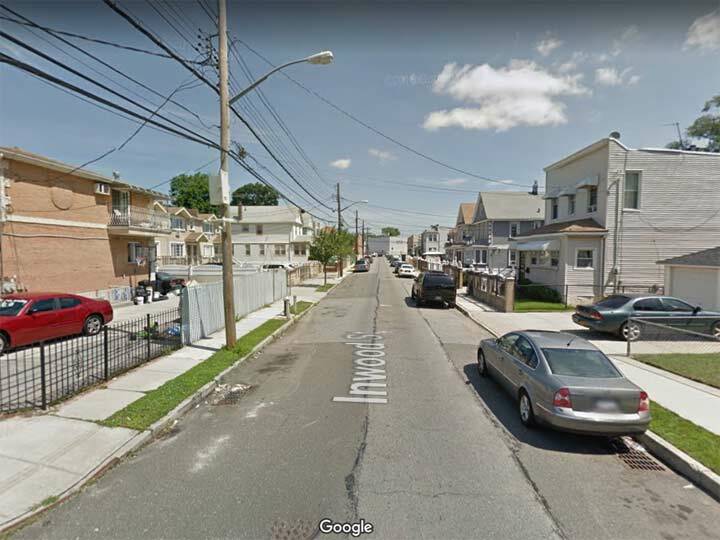 1st Court runs for a block between Coney Island Avenue and East 9th just south of Avenue R in Gravesend. Brooklyn has many street numbering systems; there’s 1st-101st Streets and 1st-28th Avenues in Park Slope, Sunset Park, Bay Ridge and Bensonhurst; the East and West numbered streets of Kensington, Coney Island, Gravesend, Midwood, Flatbush, East Flatbush, Canarsie and other neighborhoods; the North and South numbered streets of Williamsburg; the Brighton and Banner numbered streets (dozens of them, some no more than thin walkways) of Sheepshead Bay and Brighton Beach; the Bay numbered streets of Bath Beach; the Beach numbered streets of Sea Gate; the Paerdegat and Flatlands numbered streets. Am I forgetting any? And there’s one-shots, like First Court; there’s no Second or Third. There is a Seventeenth Court at the end of 17th Avenue in Bensonhurst, but that makes sense. 1st Court shows up on Brooklyn maps by the late 1920s. Perhaps, to the builders, it was so perfect that no other needed to be built. Bay Parkway roars from Ocean Parkway and Avenue I southwest through Washington Cemetery (above), Bensonhurst and Bath Beach, finally meeting its end past the Belt Parkway at the Ceasar’s Bay [sic] Shopping Center that includes a Best Buy and a Toys “R” Us, but which I experienced as a Korvette’s when I was a kid. The road slots in between 21st and 23rd Avenues, but nonetheless is called Bay Parkway. In southwest Brooklyn, as we’ll see, there are a number of streets called Bay this or that, Ridge this or that, or Bay Ridge this or that. 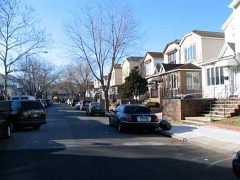 The Bay in Bay Ridge is Upper New York Bay and the Ridge is the high hill that runs along the coast. However, the Bay in Bay Parkway is undoubtedly Gravesend Bay, to which it is closer. The avenue is wider than its parallel partners, with 4 lanes instead of two, and because of that NYC decided to give 22nd Avenue a special name sometime in the 1920s. On this 1924 BMT subway map, both Bay Parkway and 22nd Avenue are used for the Sea Beach and West End elevateds, while by 1931 Bay Parkway is fully established, as it is on this Belcher Hyde map from 1929. While southwest Brooklyn is nearly ruled by numbered streets and avenues with the exception of Shore Road, Narrows Avenue, Colonial Road and Ridge Boulevard (the latter two renamed from 1st and 2nd Avenues) the numbered streets resolutely ascend from 1st Street in Park Slope to 101st in Fort Hamilton. Some commenters point out that Ovington Avenue was not mentioned in the original post. Ovington is a special case. It was among the first roads through the area and preceded the street grid, and even today subtly defies it. I have Ovington Avenue’s story on this FNY page. 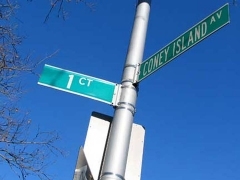 As you may know, Manhattan and the Bronx share a street numbering system, though the Harlem River is between the boroughs and no numbered street is truly continuous between the two boroughs. In fact the further north you go, the more the streets don’t line up. Because of the river, that’s not a major problem, though. This situation came about because until 1914, the Bronx and Manhattan were both in “New York County.” Then the Bronx became its own borough, and Manhattan and New York County became co-terminous. Both boroughs have been resolute about not having a 200th Street. In Manhattan’s Inwood, Dyckman Street takes the place of 200th, although the IND subway’s builders took some license and created “200th Street” tiled nameplates in the Dyckman Street station. In Bedford Park, 200th is replaced by Bedford Park Boulevard: the name was in place by 1906. This 1923 map shows it already in place. Why no 200? Perhaps it was considered unlucky. 19th Century maps show a curved road called The Crescent between today’s 30th and 34th Avenues, and that slant is still in evidence today as Crescent Street is not purely parallel to its brothers between those two avenues to this day. Though it’s one way (except for between 30th and Newtown Avenues), it is a little wider than the rest and can handle two lanes of traffic. Crescent Street has also been called Prospect Street in the past, and that original bend may have been meant to get it around a hill that Prospect Street also referred to. Today, it’s slotted in south of 24th Street, but because of its various bends, 26th, 27th and 29th Streets immediately follow it, depending on what part of Astoria you’re in. Those bends have preserved its name, assuring that it doesn’t get a number. 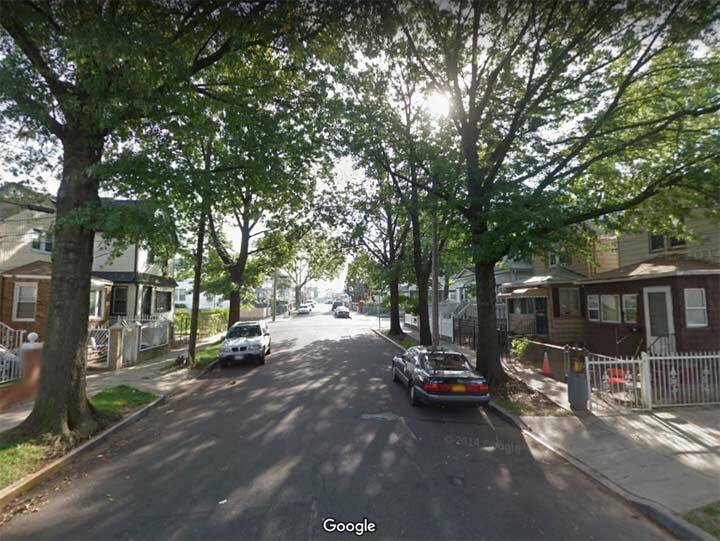 The Inwood neighborhood in northern Manhattan has no Inwood Street, but South Jamaica, Queens does. And it’s rather unusual. There are a cluster of named streets south of Liberty Avenue and east f the Van Wyck Expressway: Remington, Pinegrove, Inwood, Princeton, Liverpool, and Waltham. These streets intersect with numbered avenues and a few named avenues, as well. A long ago real estate developer probably gave the streets these British-sounding names, because it’s well-known that British names impart sophistication! Inwood Street behaves a bit differently from its associates. While they stop at about 109th Avenue, Inwood street keeps on going south, slotted between 145th and 146th Streets, all the way down to North Conduit Avenue, the service road of the Belt Parkway. I can look at the map and guess why the city handled it like this. 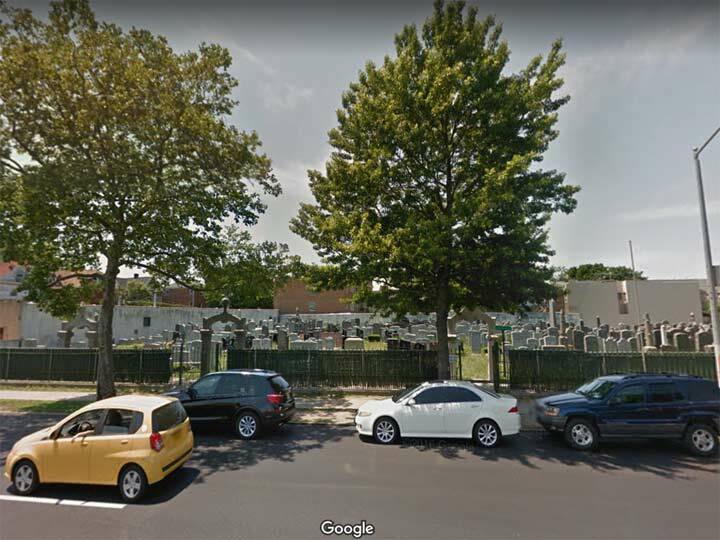 A few blocks east is a major thoroughfare, Sutphin Boulevard, which takes the place of 150th Street as far as Rockaway Boulevard; then, 150th Street proceeds south, forming the west end of Baisley Pond Park. Had Inwood Street not kept its name, you would have had the prominent Sutphin Boulevard standing in for the mere 151st Street, not 150th. I imagine the Queens Topographical Bureau wasn’t comfortable with that, and therefore, plotted in an extended Inwood Street. 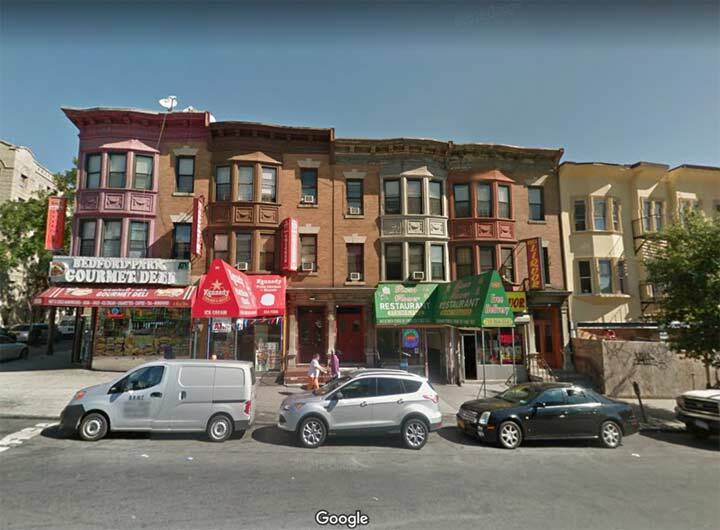 Murray Street in Flushing is rather lengthy — it plunges from 15th Avenue at the Cross Island Parkway all the way south to 45th Avenue, where it merges with an becomes 156th Street. 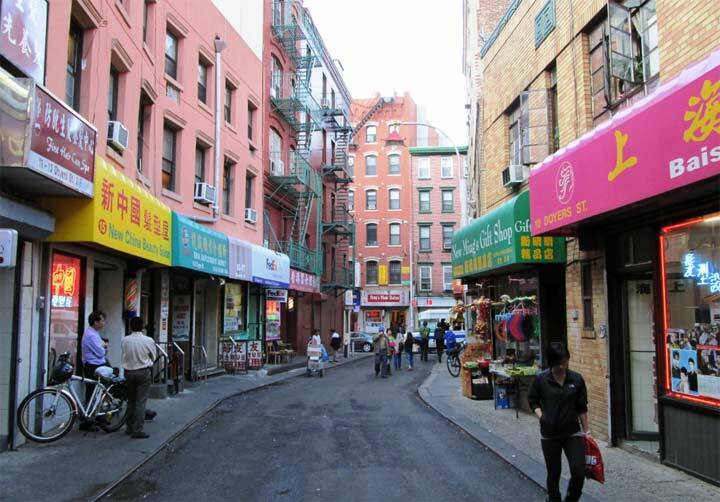 It’s named for the Murray family that owned much of today’s Murray Hill, Queens, and stands in for 151st Street for the most part. 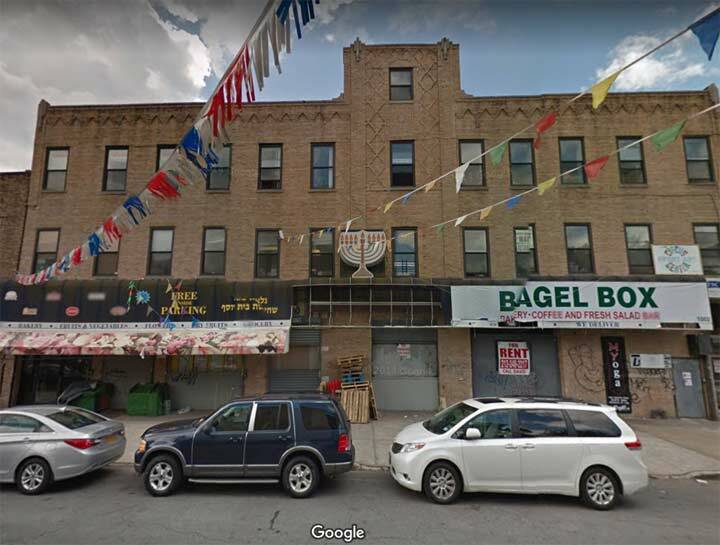 Murray Hill has never been a small town on its own, as so many Queens neighborhoods like Long Island City, Jamaica, Flushing or Newtown (today’s Elmhurst) had been. It’s always been considered to be the eastern end of Flushing, and been a planned development carved out of Flushing’s vast acreage of plant nurseries in the late 1800s. In 1889 developer Frederick Dunton, a shareholder in the Long Island Rail Road, purchased large parts of the Robert Bowne Parsons estate, divided it into lots that quickly were snapped up. A railroad stop, school and firehouse were built (their descendants remain in place today, though the original school is now a modern structure (PS 22, the Thomas Jefferson School, on Sanford Avenue east of Murray Street). 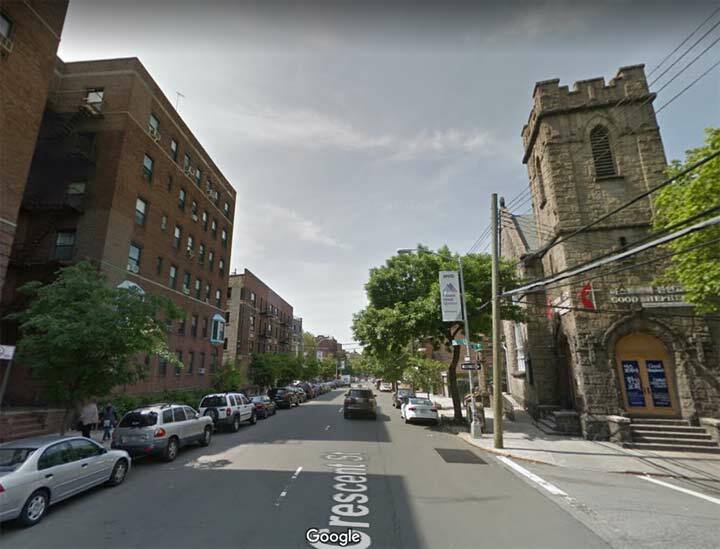 Murray Hill did develop a separate suburban identity from Flushing that it retains today; though multistory apartment builings were constructed near the Murray Hill RR station, they had a panache that today’s quickly proliferating multifamily buildings lack. Ingleside was a specific area in southwest Murray Hill developed by the Realty Trust of New York between 1893 and 1899. In 1908 it was one of the first NYC neighborhoods to receive sewers, and in 1993, it received your webmaster, who moved to 43rd Avenue that year. In the early 20th Century it was pretty much swallowed up by Flushing, to its west, and Murray Hill, to its north. Before the neighborhood was developed by Dunton, the Murray family also held a lot of land in the area, and of course partnered in some of Flushing’s former plant nurseries, and also owned the Kingsland mansion on 37th Avenue that is now the home of the Queens Historical Society. Murray Lane is likely a former private carriage lane, and its traffic has largely been assumed by the much wider Murray Street which has been left un-numbered as a tribute to the area’s prominent former owners. 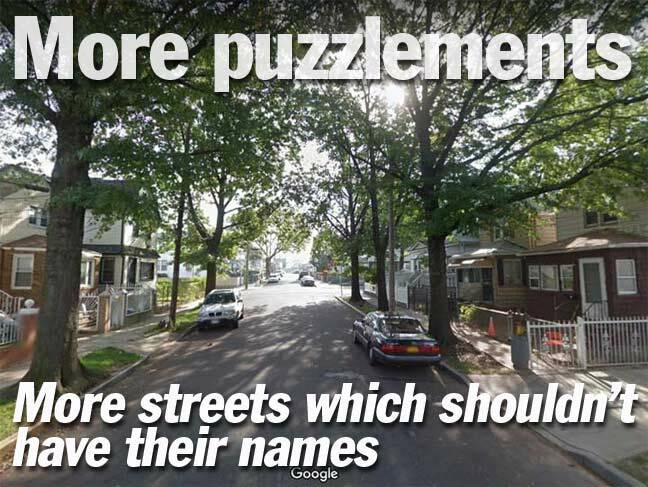 The Town of Flatbush street naming system as devised was fairly straightforward: east-west lettered avenues, and north-south numbered streets named East or West depending on their position east or west of Gravesend (now McDonald) Avenue. But from the beginning, developers mucked it up and blurred the lines. The developers of areas like Prospect Park South wanted elegant, British-sounding names and so Avenue A became Albemarle, B became Beverl(e)y and so forth. Avenue E became Foster Avenue, in honor of an early area resident. South of Avenue H, things settled down, and the lettered avenues proceed without incident all the way to Z. With one exception. The story goes that Avenue Q was renamed Quentin Road after President Theodore Roosevelt’s son, Quentin, was shot down in France in a World War I incident in 1918. However, that story has been shown as being, shall we say, apocryphal. The real story is that it was changed because on handwritten envelopes, Avenue Q was getting mixed up with Avenue O — and one of them had to be changed! Also see: Highlawn Avenue, which partially stands in for Avenue R.
Sutter Avenue begins in Brooklyn, in Brownsville at East 98th Street. 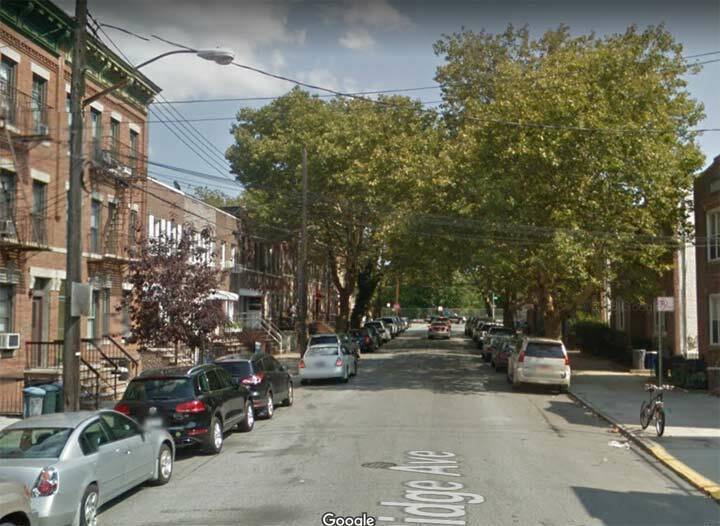 The first intersecting street it reaches is Ralph Avenue, itself a fascinating route that runs from Bushwick to Bergen Beach. Sutter Avenue keeps on going east and southeast, unfazed by the Brooklyn-Queens line. It plunges into Ozone Park, stopped by 96th Street and again by Aqueduct Race Track, but picks up again at 114th and running to 150th, stopped only by the Van Wyck Expressway. In South Jamaica, it slots between Rockaway Boulevard and 133rd Avenue. The question is, why would it? For that matter, why is 149th Avenue one block south of 133rd in these parts? You’d have to dig up Charles U. Powell of the Queens Topographical Bureau, slap him on a slab, and reanimate him with some lightning bolts to get the answers. In Brooklyn, where are the Banner numbered streets? I also don’t remember seeing Flatland number streets. The one you left out are the Plum numbered streets. 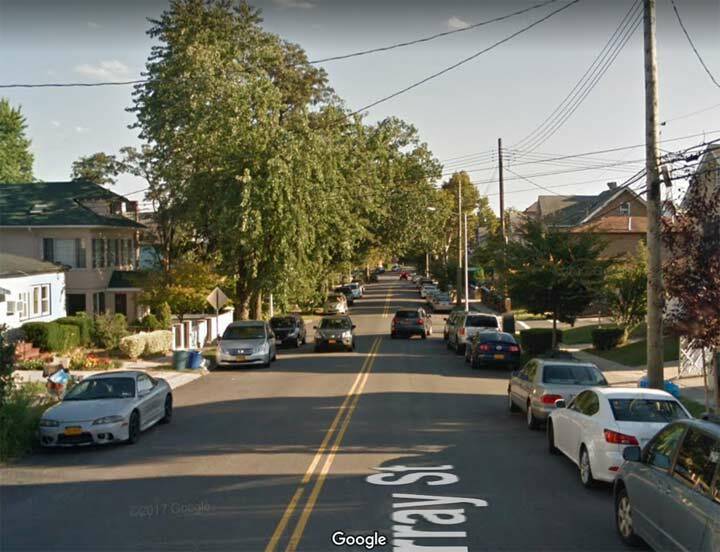 Ovington Avenue in Bay Ridge should be either 70th or 71st Street. As a kid in Queens, we had a neighbor named Charles Powell. I believe he was a retied NYC Sanitation Commissioner. I wonder if this is the same Charles Powell you referred to. The Flatlands Streets are along the east end of Canarsie bewteen E 105th and E 108th. I forget where the Banner streets are, though. Until 1973, when it passed into blesséd memory, the Third Avenue El’s Bronx station on Webster Avenue at Bedford Park Boulevard was signed as being at “200th Street”. The Brighton streets, courts, places, terraces, walks, etc are in Brighton Beach. Some of the Brighton Streets used to be named before they were numbered Don’t know where the Banner Streets are. There are also Bay, Beach, and Paerdegat numbered Steets in Brooklyn. Question: Where does Brooklyn use the Queens numbering methodology? Near Kings Plaza. When Amersfort Avenue was renamed as an extension of East 53 Street (during my lifetime) because they lined up perfectly, the last block of East 53 Street was renamed East 53 Place. Before the presidential election, there was a party that was going to be held at the corner of President and Clinton. When she lost, they should have just moved it a few blocks south to President and 2nd Place. Of course you know of the corner Bush and Clinton not too far away. This will be a multipart series. I recently ran across an early ad for the oasis theatre on fresh pond rd and grove st. the ad calls grove st by a different name and does go on to speculate who it may have been named after. Been some time since I saw it so I don’t recall the actual name but am sure it could be re-found if you’re not already aware. I think you meant World War I in 1918?